Buy any participating MILO and/or NESCAFÉ UHT/tin/bottle liquid drinks to participate. Answer 3 True or False questions given AND complete the entry form. Submit it together with the required Proof of Purchase on the entry form. 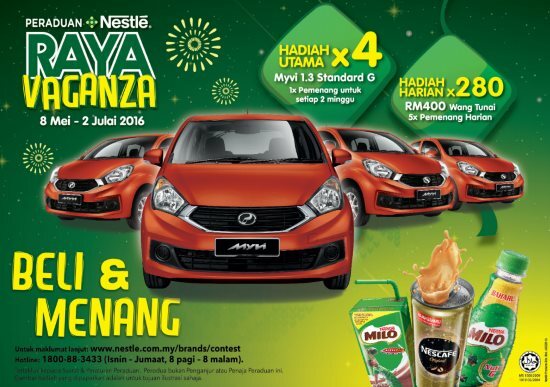 Visit Peraduan Nestlé Raya Vaganza contest form for more details.